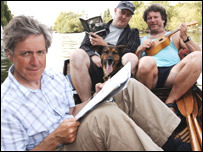 Griff Rhys Jones was last featured back in January 2006 on this blog. 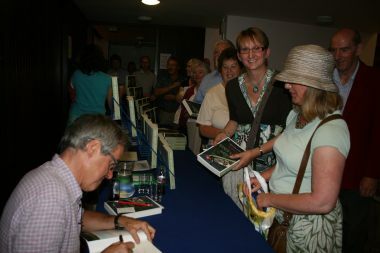 He returned to Abingdon to give a talk about his book 'Rivers', then answered questions, and signed books. 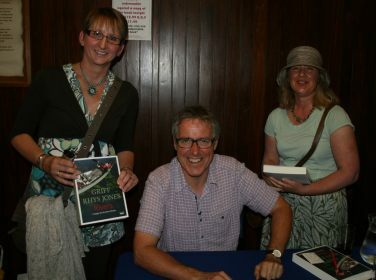 Griff was introduced by Mark from Mostly Books as a 'National Treasure'. 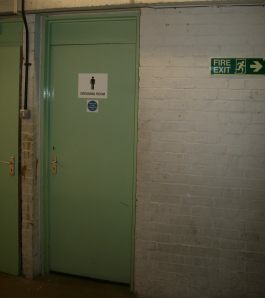 but normally are content to look for treble word scores in the Male Actors' Changing Room. It works out quite a bit cheaper. 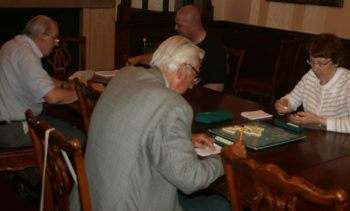 Griff needed those facilities and so the scrabble players moved to the Bear Room. I've just posted my review of the evening! Glad you got a ticket ... He was great wasn't he. Well done! Welcome back, we missed you.